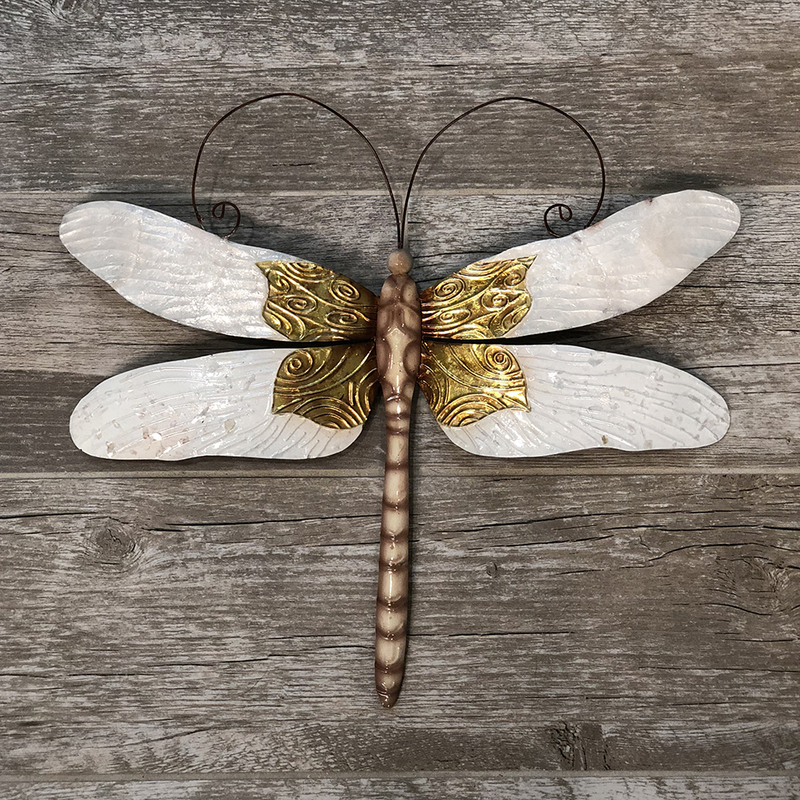 This dragonfly is influenced by the midcentury color pallet. 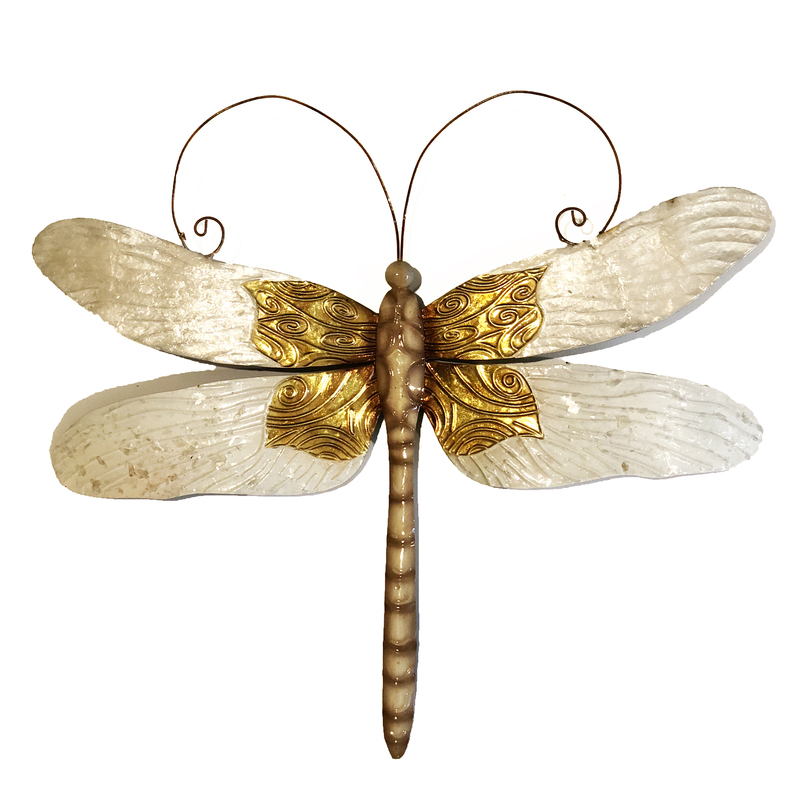 The upper wings are adorned with capiz shell, giving it the translucent color seen in the natural butterfly. The lower wings are constructed from tin, textured, to accentuate the veins of the butterfly. Highlighted at the center is a burst of gold which trickles down to the lower portion of the wings.